Experience Years of translation experience: 9. Registered at ProZ.com: Nov 2013. 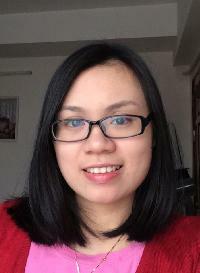 My name is Hanh and I am a professional full-time translator based in Hanoi, Vietnam. With 6 year experience in translating and interpreting, I am able to translate/localize your documents into Vietnamese to English or vice versa at the best result. I also had experience in Web searching, Wordpress, Onpage SEO and Virtual assistant. I've done many projects with really positive feedback and scores. 1. I have participated in translating the training document for NOKIA Code of Conduct (15,000 words), Swiss Gold Global Compensation Plan (12,500 words), Annual Employee Survey for CEB (22,000 words), etc. I also have participated in translating and localizing apps, software, social website and blogs such as Born2Invest, Lazy Cookies Vietnam, Epic Flight Academy, Wondershare Software, etc. 2. I also worked as a Virtual Assistant for Damien Elsing Copy writing company in 2014. I was in charge of translating website content from English to Vietnamese, content writing. 3. I have participated in translating subtitles for TVibe Corporation (http://www.tvibe.com/) with the large batch of US drama episodes "Californication Season 7", "Star Trek Season 3", etc. I also associated with DF now service and worked for SLS Language Agency. 1. Vietnamese - English Translation: General Business, Marketing, Social Science, Website content, IT, Health and Beauty, General Law, Games.